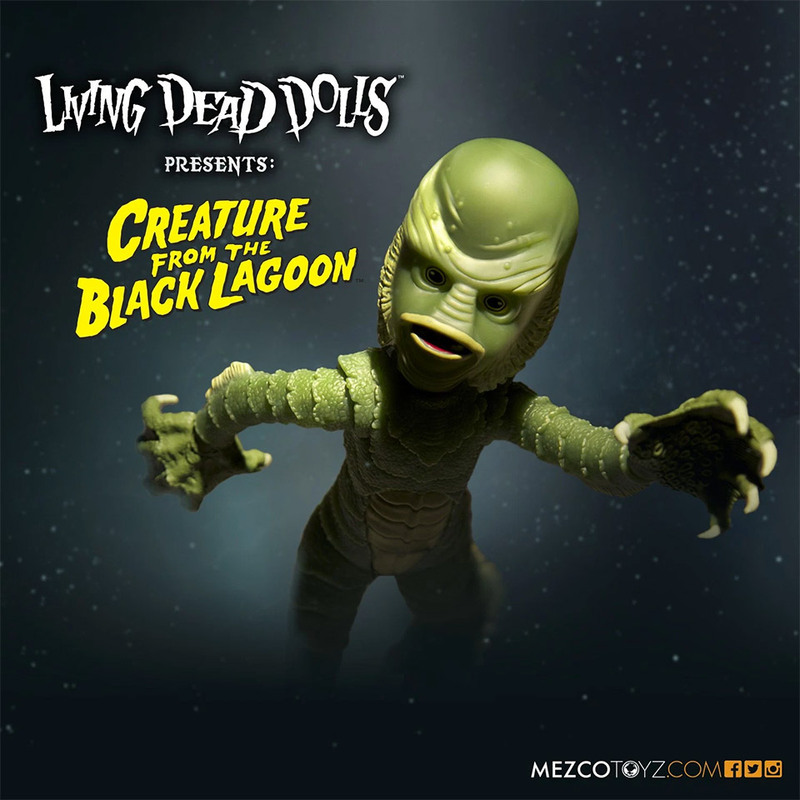 In February, we wrote that Mezco Toyz Living Dead Dolls would be coming out with an awesome 10″ action figure of the infamous Creature from the Black Lagoon, complete with webbed hands, prominent gills, vicious claws and a monstrously large head. Well, now it’s on sale ($32), and the company came up with an awesome guerilla marketing event to hype the release. They took their new toy to one of Florida’s most beloved tourist attractions – Weeki Wachee Springs – and let it dive with the park’s world famous mermaids. I grew up in Florida, and when I visited I remember being mesmerized watching through the glass as the underwater vixens performed their lithe aqua ballets inside their giant sea-like tank. So whoever came up with the idea to take this toy there and let the mermaids play with it is a genius. The photos are kitschy beyond belief, especially when the mermaid feigns terror as the little doll floats in the water next to her. The best part of this really clever stunt is that not only will it entice people to buy the new Creature from the Black Lagoon toy, it is also going to inspire a lot of people to want to check out Weeki Wachee the next time they are in Florida.